Country has produced 165.9 lakh tonnes of sugar upto 15th February 2013. This is about 2.70% more than last year same period. * Till date, almost 1680 lakh tonnes of sugarcane have been crushed with average recovery of 9.8% from Oct. 2012. Country has crushed about 1.70% more sugarcane than last year along with better recoveries. 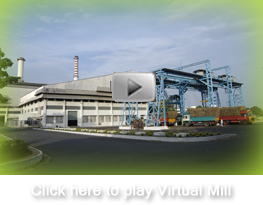 * However, as compared to last year, 24 lesser number of mills are operating now. * Maharashtra produced 57.8 lakh tonnes of sugar with 11% recovery, which is about 3% more than last year, whereas Karnataka has produced about 28.3 lakh tonnes of sugar with higher recovery by 0.20 point % and 9% more sugarcane crush than last year. * Maharashtra and Karnataka have already started showing signs of lower sugarcane availability for the current season, 2012-13. Both the States are expected to together crush about 900 lakh tonnes of sugarcane to produce around 100 lakh tonnes of sugar production, even as there are a few market analysts, who are suggesting slightly higher production from these States than that estimated earlier. * 8 mills have already closed their operations in Maharashtra, against none during corresponding period last year. Similarly, 6 mills in Karnataka have also closed their operations. As suggested by ISMA earlier, mills in these two States would close operations further in the coming days, and the 'tail' this year will be much shorter than any season seen earlier. * Uttar Pradesh has produced 43.6 lakh tonnes of sugar from 120 mills under operation, which is about 4% lesser than last year same period. The recovery % is 8.9% which is about 0.2 point % higher than last year. Recovery could further improve in days to come, as ratoon crop is over and now plant cane has started coming for crushing. * Tamil Nadu & Andhra Pradesh have produced 7.8 and 7.3 lakh tonne of sugar which is about 3% and 1% more than last year in these respective States. Both States are however, reporting lesser recoveries as compared to last year. * ISMA has projected 243 lakh tonne of sugar production for the crushing season 2011-13, which is 20 lakh tons less than last year.